Akiem Hicks has become one of the most important members of the Chicago Bears’ defense during his one season with the team, and now it looks like he’s getting ready to get paid. Hicks, who signed a two-year contract with the Bears prior to the 2016 season, more than earned his money with a strong campaign, racking up a career-high seven sacks and 36 total tackles. He also forced a pair of fumbles and defended two passes, establishing himself as a threat both against the run and against the pass. 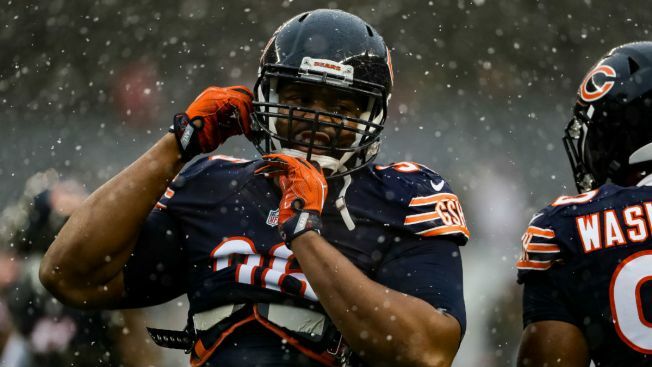 Hicks is due $5.7 million this season from the Bears, carrying a salary cap hit of $6.2 million according to Spotrac. As he hits unrestricted free agency at the age of 28, Hicks will undoubtedly command a decent-sized raise, and while negotiations with the Bears have yet to begin in earnest, it wouldn’t be surprising to see the team make every effort to keep Hicks in the fold. With Jonathan Bullard not really seizing the reins in his rookie season, and with a defense that has undergone nearly a total makeover of their front seven, Hicks has become an integral part of the group, and he will likely be looking to get paid in that capacity.